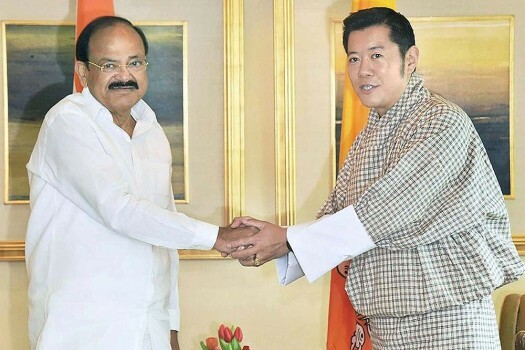 Vice President M. Venkaiah Naidu with King of Bhutan, Jigme Khesar Namgyel Wangchuck, in New Delhi. 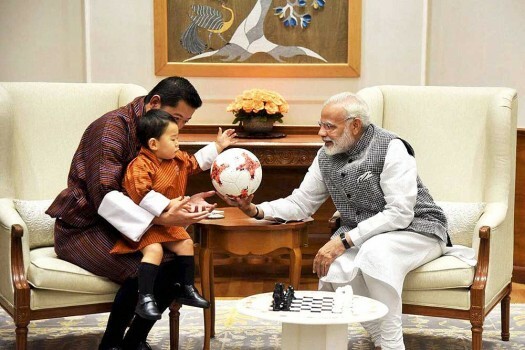 Union Minister for Defence, Nirmala Sitharaman meeting meeting the King of Bhutan, Jigme Khesar Namgyel Wangchuck, in New Delhi. 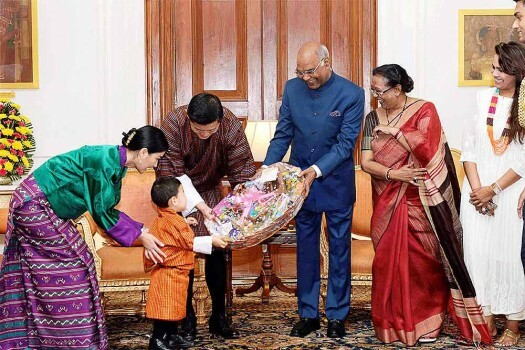 Queen Jetsun Pema is also seen. 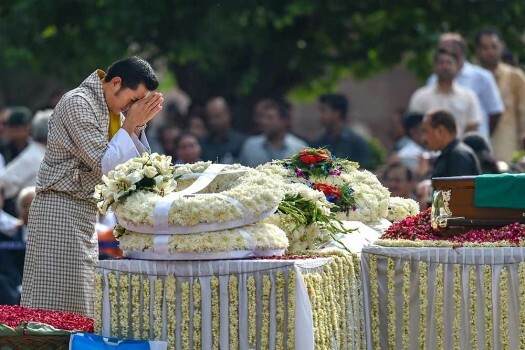 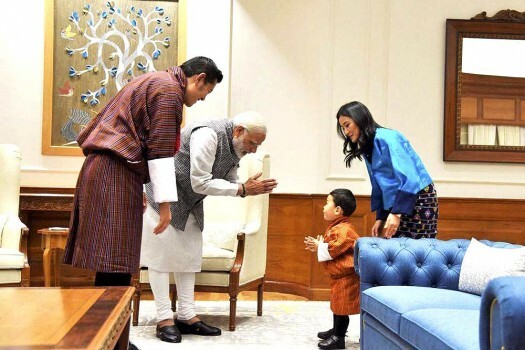 Bhutanese King Jigme Khesar Namgyel Wangchuck with his son Prince Jigme Namgyel Wangchuck, exchange greetings with Prime Minister Narendra Modi in New Delhi.